I am not a fashionable person. I wear what I want to wear, not that picky with the clothes. 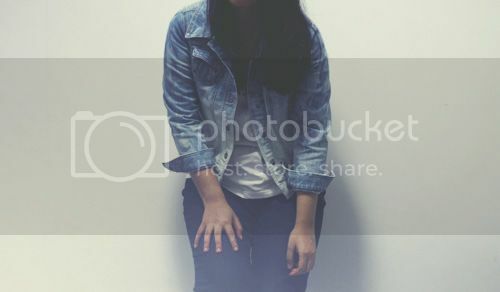 But when I had trip to Singapore last month, I saw this person in Orchard wore ombre denim jacket which I found beautiful. I've searched many stores but it's only my friend Dinda's online shop; We Are All Curious which sells them but too bad the jackets are sold out. Desperately, I finally bought a cheap denim jacket, and tried to make ombre denim jacket by my self! The steps are easy. 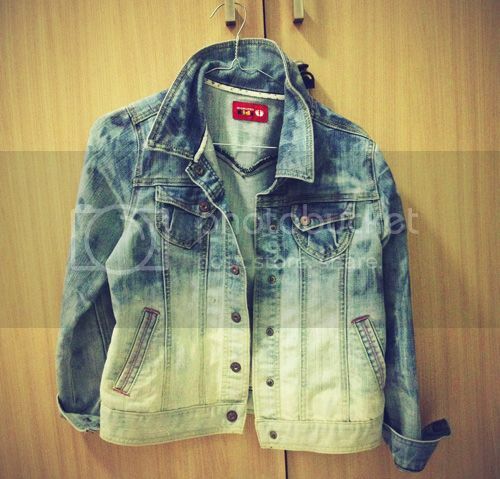 You just need denim jacket (of course! ), bayclin, and water. 1. Pour the water and bayclin into bucket. I needed 5 bottle cap of bayclin. 3. Make ombre by putting the half jacket first into water. After about two hours, put only 1/4 jacket into the bucket. 4. Don't forget to wash it, because the color might still fade off and I, personally, can't stand the smell of bayclin.